If you have any information about these crimes or any person(s) involved, you are urged to call Crime Stoppers or submit a Web Tip. You do not have to give your name; CRIME STOPPERS will pay a cash reward of up to $1,000, and you can remain anonymous. The black male suspect in the attached photo is wanted for Shoplifting. If you can identify this suspect, please contact the St. Charles City PD. 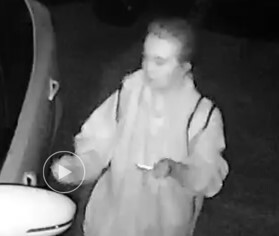 The white female suspect in the attached photo is wanted for Theft from Building. If you can identify this suspect, please contact the St. Charles City PD. The black male suspect in the attached photo is wanted for Motor Vehicle Theft. If you can identify this suspect, please contact the St. Charles City PD. The black female suspect in the attached photo is wanted for Theft from Building. If you can identify this suspect, please contact the St. Charles City PD. The black male suspect in the attached photo is wanted for Theft from Motor Vehicle. If you can identify this suspect, please contact the St. Charles City PD. The white male suspect in the attached photo is wanted for Passing Counterfeit Currency. If you can identify this suspect, please contact the St. Charles City PD. The white male suspect in the attached photo is wanted for Shoplifting. If you can identify this suspect, please contact the St. Charles City PD. The three white male suspects in the attached photo are wanted for Theft from Building. If you can identify these suspects, please contact the St. Charles City PD. The two black male suspects in the attached photo are wanted for Assault. If you can identify these suspects, please contact the St. Charles City PD. The black male suspect in the attached photo is wanted for Fraudulent Use of a Credit Device. If you can identify this suspect, please contact the St. Charles City PD. The black male suspect in the attached photo is wanted for Robbery. If you can identify this suspect, please contact the St. Charles City PD. The white male suspect in the attached photo is wanted for Fraudulent Use of a Credit Device. If you can identify this suspect, please contact the St. Charles City PD. The white female suspect in the attached photo is wanted for Shoplifting. If you can identify this suspect, please contact the St. Charles City PD.